Credit: NASA/JPL/Malin Space Science Systems. This image is an "approximately 3 km by 3 km (1.9 mi by 1.9 mi) area on the floor of an unnamed impact crater in western Arabia Terra." 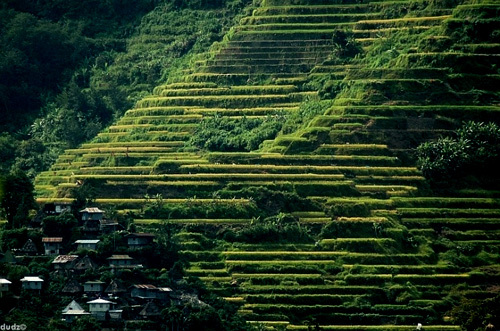 Below is a similar area on Earth: The Ifugao Rice Terraces in the Phillipines. 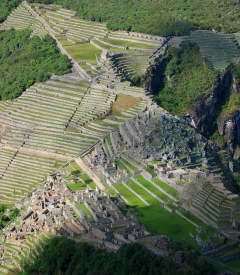 carved from the harsh terrain of Ifugao province by the hardy native farmers more than 2000 years ago. 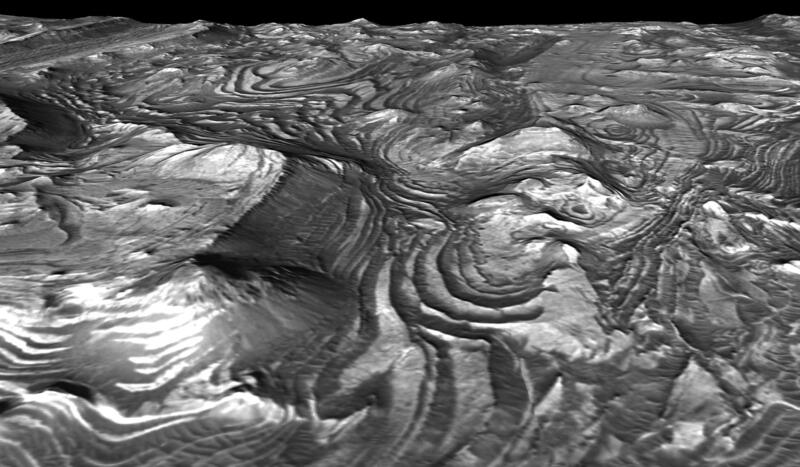 Here are some closeups of the Mars terraces. 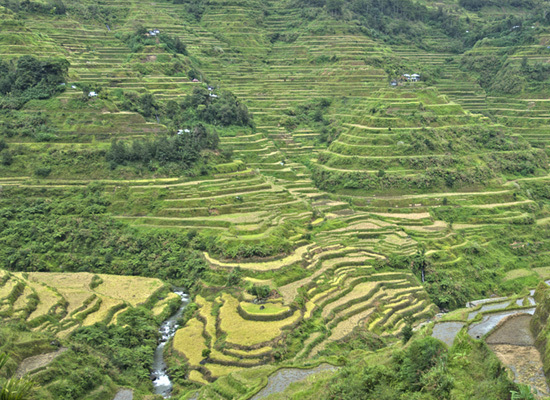 Here are some closeups of the Phillipino rice terraces. If you could change the satellite perspective of the Mars images above to a side-perspective, how much alike would these areas on Mars and Earth turn out to be? 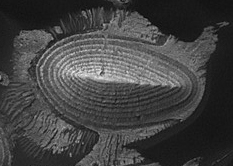 Here is another terraced landform inside a crater on Mars. 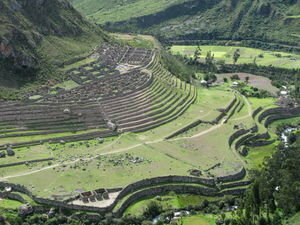 Here are images of terraced Inca ruins in Peru. 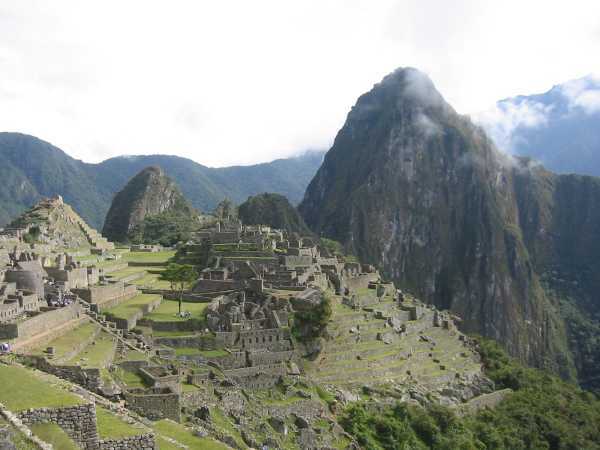 Maachu Pichu is one of the most preserved of Earthly Inca cities. Here is another region with stepped landforms on Mars. 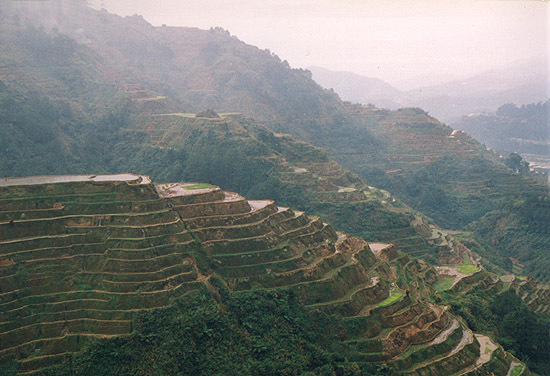 These Martian terraces have the random geometry that one would associate with a natural erosion process. 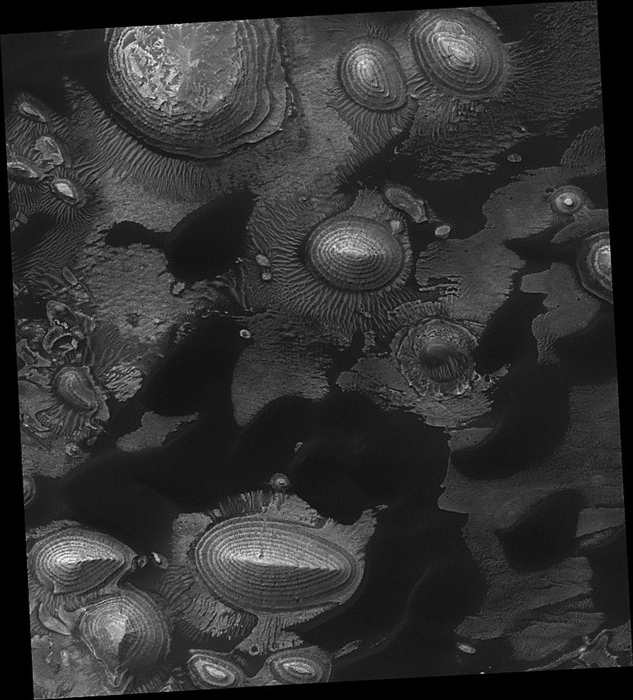 Compare the two images above of martian stepped landforms(from different regions of mars) to the one below? 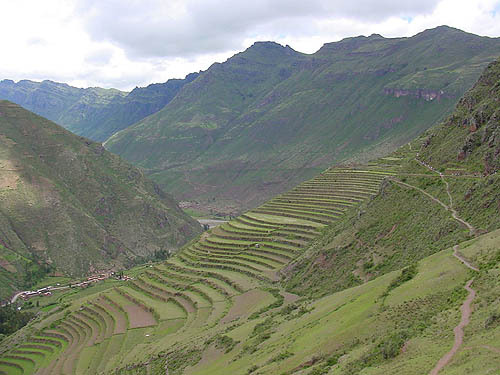 Does the image below really demonstrate a natural geology?